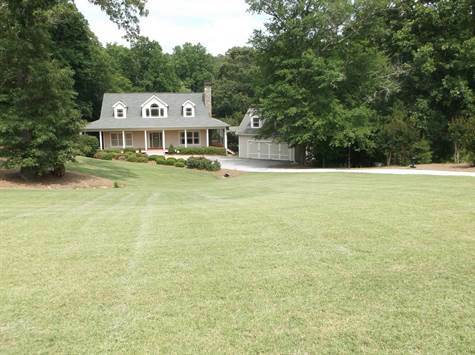 Custom Built Cape-Code on 2 Acres of level lot backing to green space w/fire pit & 3/4 wrap around porch, stacked stone fire place and hardwoods thru-out, granite counter tops and stainless steel appliances, island with wine shelf, remote switch for lights thru-out the house. Master bath with Claw Foot Tub & unique vanities ready for your family to enjoy the nature and watch Deer roaming around, plenty of space for your own swimming pool. Pool Table & Lawn Mower stays with the house.